A video interview with LOUDNESS vocalist Minoru Niihara about the band’s latest album, “Rise To Glory”, can be seen below. The disc was released on January 26 via earMUSIC (world excluding Japan). The follow-up to 2014’s “The Sun Will Rise Again” is “packed with aggression, melody and positive vibes,” according to a press release. From the rock maelstrom of “Massive Tornado” to the young burning passion of “Soul On Fire”, the life-glorifying “I’m Still Alive” and the declaration of metal warfare of “Rise To Glory”, all the songs are fitting for the age of turmoil. The guitar wizardry of Akira Takasaki, hailed around the world as one of the true guitar gods, is featured throughout the album. He says: “I played lots of guitars, more than any other albums this century. There was soul in the sounds.” In addition to guitar solos on each song, there is amazing playing on the instrumental track, leaning towards the progressive side of the band. Along with the hurtling speed tunes such as “Massive Tornado”, “No Limit” and “Rise To Glory”, the variety of songwriting takes the listener to an amazing journey. “Rain” has the melancholic mood, “Until I See The Light” focuses on the melodic side of the band, and “Let’s All Rock” has a heated call-and-response with the audience to recreate their live performance. 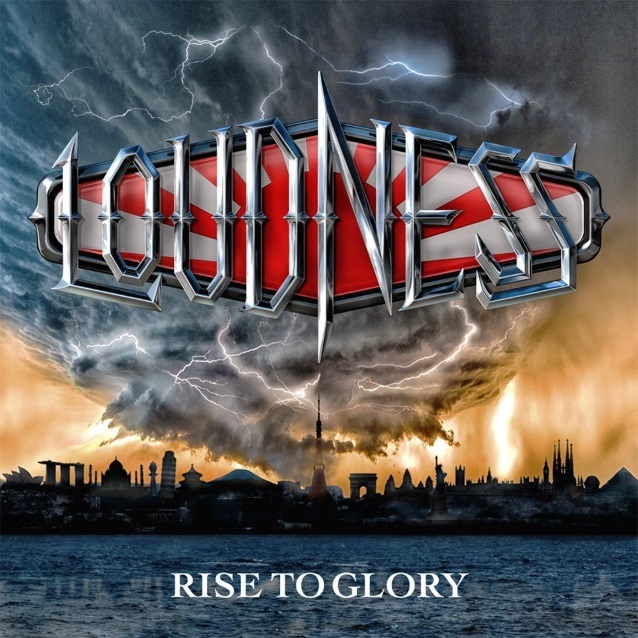 The European and U.S. version of “Rise To Glory” is accompanied by “Samsara Flight”, a collection of 13 tracks of the band’s early classics re-recorded (originally released in Japan in 2016), including “Loudness” and “In The Mirror”. LOUDNESS has released twenty-seven studio albums, six of them in the U.S. The band’s lineup has changed multiple times since 1981, with the current incarnation consisting of three original members — lead singer Minoru Niihara, guitarist Akira Takasaki and bassist Masayoshi Yamashita — along with drummer Masayuki Suzuki, who joined the group in 2009. Original LOUDNESS drummer Munetaka Higuchi died in 2008 after a year-long battle with liver cancer. LOUDNESS released a special 30th-anniversary edition of its classic “Thunder In The East” album in Japan in November 2015 in several different versions, featuring demo recordings, bonus DVDs with live footage from their 1985 U.S. tour, a documentary about the making of the LP and other things.